There is a service at Saint Andrew's Church on Sundays at 11am (sometimes not on a fifth Sunday). On the first and third Sunday of the month, the service is Holy Communion. 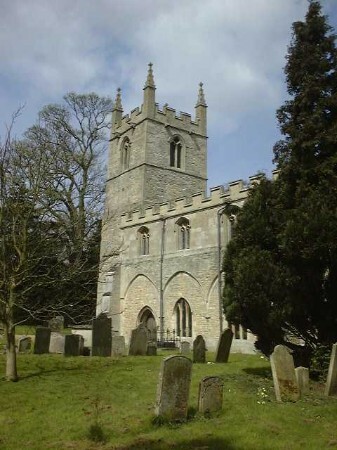 A church has been on the same site in our Parish for approximately one thousand years. The present building dates from the late Norman period. The history of St. Andrew’s is inextricably woven with that of the Luttrell family, who owned the village and adjoining Irnham Hall (through the female line) until 1853. The estate then passed briefly to the Woodhouse family and then to the Benton Jones family, the present owners. Circa 1325, Sir Geoffrey Luttrell (d. 1345) commissioned the celebrated Luttrell Psalter, now in the British Library. Sir Geoffrey further commissioned the church’s rare Easter Sepulchre which you will find at the end of the north aisle (you pass by a particularly fine floor brass to Sir Andrew Luttrell, Sir Geoffrey’s son; d. 1390). The art historian, Sir Nikolaus Pevsner, described Irnham’s Easter Sepulchre as: The great surprise……..most ornate and inventive. 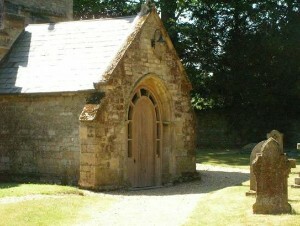 In 2006, a new north door was installed, celebrating the Parish’s historic link with the Luttrell Psalter. It was designed by Ptolemy Dean, a noted conservation architect who co-presents BBC television’s Restoration programme. The door marked the culmination of a £350,000 restoration programme to preserve the church building for future generations. A new bell rings out from the Tower; the fabric is watertight; the electrics and the lighting are all replaced; the organ is rebuilt; the drains actually take the water away – and now there is an excellent heating system!